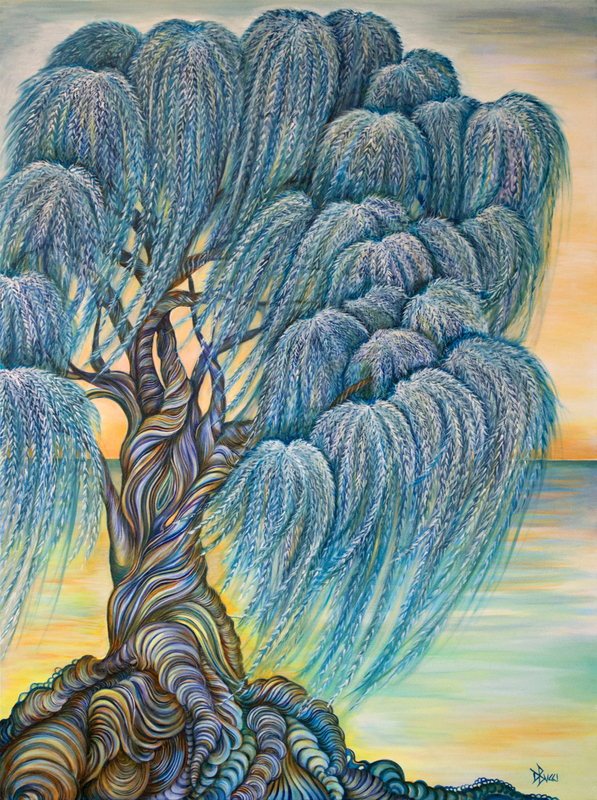 Deb's thoughts: I was near water when I painted this willow. I could feel the breeze and hear the ocean waves. Usually, when I paint willows they are quiet and still. These are blowing in the wind. This willow feels like change is coming but that's okay. When you are rooted in family and friends then you can bend and flow with life's changes.